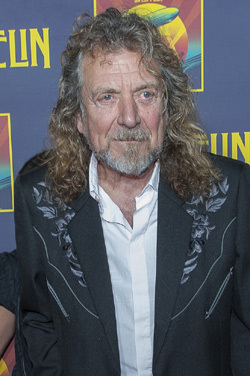 Robert Plant has recorded a song with a musician whose father was executed during political strife in Mali in the early 1960's. The former Led Zeppelin front man joins Ag Alhabib, who became a refugee as a young boy following his father's murder, on a song by the group Elbow titled The Blanket Of The Night. Proceeds from sale of the album it appears on will go to the British Red Cross. Speaking about the project and the reason he undertook it, Plant said, 'We have a worldwide international catastrophe. Talking about it is one thing, doing something about it is another. The position we are in, it's paramount we all do our best one way or another to help.' The song appears on a benefit album titled The Long Road that will get released March 4.